There are over 200,000 single fathers in the UK alone, but they remain hugely invisible. When you think of a single parent, what comes to mind first? For most of us, when we think single parents, we primarily think of single mothers, which can lead us to unintentionally disregarding single dads. Being a single parent is hard enough, but to feel invisible to others is even harder. Single dads often feel like they are invisible or ignored. Many other single dads feel that people assume that if their wives left them, it was because of their own doing. Some single fathers also feel like society considers their families less than other families that are more complete. Because of the assumption that they are less than families, they encounter marginalization and end up not taking part in local community activities. Take for instance Martin who found himself a single father after three years of marriage to his now ex-wife went down the drain. After battling it out in court during divorce proceedings, he got custody of their only daughter. Now tasked with the responsibility of raising a child alone, and a daughter at that, Martin felt like he was taking on a new job without any kind of training. 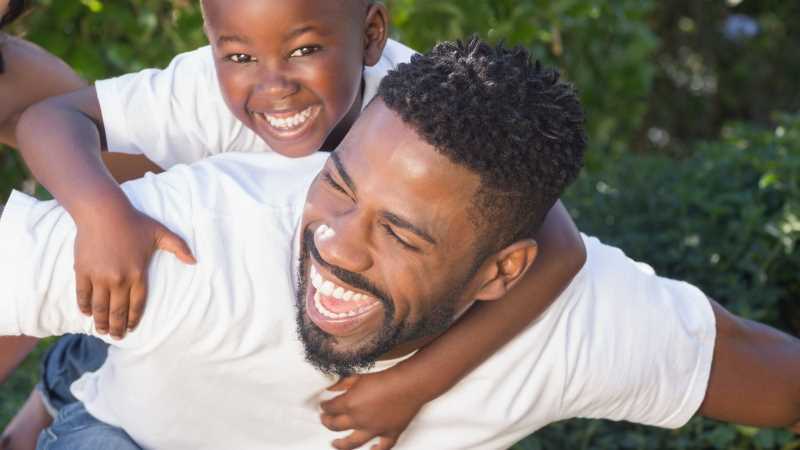 Now that he is more comfortable in raising his daughter, he gives the following helpful tips to other dads who might find themselves in a similar situation. When you are a single parent, especially a single father, it is vital to plan your day well. Plan it in such a way that you schedule enough time to spend with your child. It is very important for you to bond with your child. This is because children are emotionally vulnerable and with proper guidance from you, they can face any situation boldly. As a single father, you need to have the right people and the right support system in your life. It could be friends or family members who can always be there for you when you need them. This helps you to relieve stress and get help when you feel overwhelmed. It is very important to express your unconditional love and support to your child by not making them feel the absence of the mother. Ensure that you recognize their effort and set aside time to read, play or just take a walk with your child. Never allow people to feel sorry for you as this might just make you weak emotionally. Single parenthood is a normal situation so just ensure that your child knows you are doing your best and all you need from them is their support. Of all the aforementioned tips, this is the most important one. It is important that while you play the role of a good father, you also take care of your health and well-being. Eat well and do things that will keep you active. Go out more as well and who knows? Your days as a single dad may come to an end!